Earlier this year Fathom’s Grant Goldberg interviewed Lyn Julius about her new book, Uprooted, which documents 3,000 years of Jewish civilisation in the Arab world and explains how and why that civilisation vanished in a single generation in the middle of the 20th century. Julius describes what brought Nazi Germany, the Muslim Brotherhood and the Grand Mufti of Jerusalem into an alliance and how this impacted Jews in the Middle East and the formation of the State of Israel. Download a PDF version here. Grant Goldberg: What prompted you to write the book? Lyn Julius: I have a strong connection to the region. 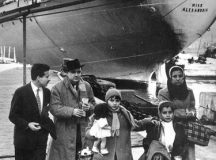 My parents arrived in Britain in 1950 as Iraqi-Jewish refugees, and throughout my childhood I was very conscious of the connection with Iraq, mainly because I still had family there. 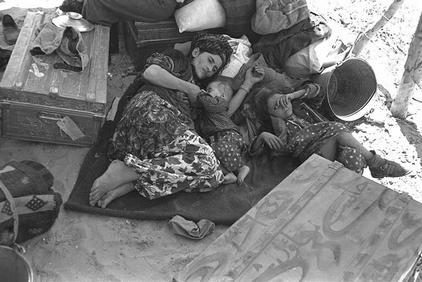 Conditions deteriorated for the remaining 3,000 Jews of Iraq after the 1967 Six-Day War and Israel’s defeat of the Arab countries. Saddam Hussein embarked on a reign of terror, executing nine Jews in Liberation Square in Baghdad. My grandparents were still in Iraq as well as various aunts and cousins and all were desperate to leave. The community’s telephones were cut off, their jobs were lost and their university entry blocked. Their very lives were in danger – some 50 Jews were arrested and never seen again. I honestly think that understanding the Jews of the Middle East is the key to understanding the whole Middle East conflict. The way the Jews have been treated in Arab countries points to a major dysfunction in Arab society: the inability to tolerate anyone who is different from the mainstream, whether non-Sunni Muslims or minority non-Muslims. I’ve been very involved in Harif, the UK Association of Jews from the Middle East and North Africa, which I founded 13 years ago. As well as organising events to raise awareness of the history and culture of Jews from the Middle East and North Africa, I’ve been blogging and writing. Eventually, I realised I had accumulated enough material for a book. Also, there has not been much written about Mizrahi Jews, certainly not in English. [i] The most mainstream work was In Ishmael’s House by Sir Martin Gilbert, published in 2010. 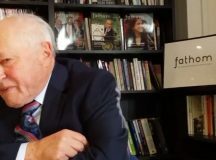 Most of the research on the subject has been done by historians writing in French, such as Georges Bensoussan, Nathan Weinstock, Shmuel Trigano, Bat Y’eor and Paul Fenton, who, despite his English origins, is a professor at the Sorbonne. David Litman also wrote about Jews from Morocco. I hoped my book would make the essence of their work accessible to English readers. GG: You begin your book in the tomb of the prophet Ezekiel, which has been converted to an Islamic holy site in present-day Iraq. Once visited by 5,000 Jews a year, it is now devoid of Jewish pilgrims. What made you start there? LJ: I wanted to show that Jewish continuity in the Middle East goes back to Biblical times. The prophet Ezekiel is one of 17 Biblical figures buried in Syria, Iran and Iraq. That region has as much of a Jewish history as does the land of Israel. The Jews were taken as slaves to Babylon after the destruction of the First Temple. It’s important to know that Jews have lived for a long time in these lands and shaped the culture. There was a sort of symbiosis between Jew and non-Jew, often misunderstood as coexistence. It wasn’t coexistence; that word assumes there was an equal relationship. The Jews were influenced by, and actively shaped, the culture. Islam is much closer to Judaism than Christianity. Local Muslims felt Jews had a direct line to God as the elder religion. An Iraqi Jewish friend of mine, around the time of Sukkot, once overheard her Muslim neighbours talking as rain fell. ‘The feast of the Jews must be over,’ they said, because they knew that Jews pray for rain at the end of Sukkot. It’s almost as if this culture could set its watch by the Jewish calendar. The Jews were intrinsic to the rhythm of life in the Middle East. It all ended in the space of a generation. Some 850,000 Jews fled 10 Arab countries; most found refuge in Israel, where over half the Jewish population has roots in Arab or Muslim lands. Israel organised unprecedented airlifts and rescue operations. A greater number of Jews were displaced than Palestinian Arabs from Israel, and it was the largest exodus of non-Muslims from the Middle East until the mass flight of Christians from Iraq after 2003. However, the plight and dispossession of the Jewish refugees remains an unresolved and unrecognised injustice. Age-old communities are now extinct and only some 4,000 Jews remain in the Arab world. So, with the exception of Morocco, the physical presence of the Jews has been wiped out almost completely from the Middle East and North Africa outside Israel. Memory was also erased; the younger generation often had no idea that Jews ever lived in their lands. However, since the ‘Arab Spring,’ the memory of the huge contribution made by the Jewish community is being revived. In Iraq, intellectuals are lamenting the departure of the Jews and the fact that the country went downhill once they left, leaving it economically and culturally impoverished. GG: Is this erasure of history the result of top-down persecution by government or bottom-up hostility from the ‘Arab Street’? LJ: In the past, often both. In Syria, Yemen, Libya Iraq and Egypt both governments and peoples have been adamantly hostile. Anti-Jewish riots also erupted in Morocco and Tunisia, although there was less state-sanctioned persecution in these countries. Public opinion remains hostile despite, in Egypt’s case, having signed a peace agreement with Israel. Today, we can see a kind of rapprochement coming from the top-down, for pragmatic reasons. President Abdel Fattah al-Sisi is really quite friendly to Israel. In Morocco and Tunisia, the motivation is a bit different. The Moroccan King is very aware of the importance of tourism to his country and he has invested a huge amount of money into preserving Jewish heritage. He also has a strategic motive, which not many people are aware of; he wants to get American support for his policy objectives, especially his claims in Western Sahara. And, of course, he believes the Jews control American foreign policy. When the US proposed that a UN peacekeeping mission in Western Sahara help monitor human rights a (Moroccan) diplomat was quoted as saying: ‘It’s very useful for us to have someone — a strong lobby group, perhaps — to help talk the State Department out of this idea. The Jewish lobby is a very strong one.’ That’s another reason why Morocco is edging towards normalising relations with Israel. GG: What is ‘dhimmitude’? And what is the ‘dhimmi syndrome’? LJ: The dhimmi status of non-Muslims was mandated by the 7th century covenant of Omar, after Muhammad defeated the non-Muslims living in the Arabian Peninsula. Basically it stated that Christians and Jews would be spared their lives provided they obeyed certain conditions. Notably, the Jews had to pay a special tax and were not allowed to be armed or defend themselves. The system recalls a Mafia-style racket; you pay protection money to the ruler. The other characteristics of the dhimmi status was that Jews and Christians had to abide by certain humiliating restrictions in order to be free to practise their religion. A Jew’s testimony was worth half that of a Muslim in court, Jews had to wear certain clothing or coloured patches, live in certain areas, and so on. In short, you had to know your place as a non-Muslim. And there was always pressure to convert to Islam. GG: Is the Ashkenazi (European) Jewish experience very different? Is the dhimmi syndrome particular to the Mizrahi Jewish community? LJ: I think the Ashkenazi community also suffered from a kind of dhimmi syndrome. In medieval Europe a shtadlan was appointed by the community to intercede with and mollify the ruler of the day. At one level, this is something all minorities suffer from, just by virtue of the fact that they are minorities at the mercy of a majority. But I think it was probably worse in Muslim lands. The dhimmi status excludes Jews from the political process as well. There were exceptions. In medieval Spain there were Jewish advisors to the Caliphate. But by and large, the Jews did not have a political role. And you can see it in present-day Iran where Sharia operates. There is one token Jewish member of the Iranian Parliament, but in general Jews are not allowed to be part of the government and the civil service, and they’re not allowed to rise to senior ranks in the army. It’s become a truism, when comparing Jews under Christendom and Jews under Islam, to say ‘Jews were not as badly treated under Islam’. But Bernard Lewis, the late great historian, says this comparison was actually propagated by 19th century Jewish historians in order to press for full rights for Jews in Europe. We must remember that only 10 per cent of the Jewish population resided in the Middle East and North Africa, whilst 90 per cent were Ashkenazim, living in Christian Europe. So the impact of persecution, where this arose, was proportionally much less. But there is a big difference between Christendom and Muslim society. Under Islam, there was a pecking order reminiscent of a sort of colonialism. Islam means submission. The Muslim submits to God. The Muslim wife submits to her husband. The Jew is near the bottom, only one notch above the slave. Jewish slaves did actually exist in Kurdistan until recently and in the Berber tribal lands. GG: What is the connection between European and Middle Eastern antisemitism? LJ: The Ashkenazim went through the Enlightenment in the 18th century, and that’s a major difference. The Ashkenazim acquired civil rights then and lived in societies in which church and the state were more or less separated. The concept of civil rights was absent in the Middle East and North Africa until the mid-19th century. It was only under European pressure that the Ottoman Empire abolished dhimmitude. In the Ottoman Empire, communities were autonomous, but were defined by faith: there were Jews, Christians and Muslims. As regards European and Middle Eastern antisemitism, there is a very clear distinction. European antisemitism was initially, and for many centuries, religious or theological: ‘Jews killed Christ.’ After the Enlightenment, religious-based antisemitism gradually gave way to a racial concept of antisemitism. Theories of Jewish power and control arose in Communism and Nazism. Antisemitism in the Muslim world was quite different. The Jew and the Christian lived under sufferance. Too ignorant or stubborn to see the light and convert to Islam, they were tolerated as long as they knew their place. Crucially, they had been defeated by Muhammad, in the 6th century, and were no longer perceived as a threat. But that began to change with the penetration of Christian ideas of antisemitism There was the 1840 Damascus Affair and other Christian-inspired blood libels spread in the 19th century across the Ottoman Empire; Christian missionaries brought with them antisemitic ideas. The Protocols of the Elders of Zion was translated by a Maronite priest in 1925. Although some historians dispute this, seeing Islam as canonically anti-Jewish, Nazi antisemitism was imported into the Arab World in the 1930s and resulted in Jews losing their rights in Vichy-ruled North Africa during the Second World War. So paradoxically, those same Western powers who had freed the Jews from their inferior dhimmi status ended up betraying them. And if the Nazis had won the Second World War, the Jews would have been marked out for extermination as surely as the Jews in Europe were. That said, the preceding two decades were a golden age for Jews under colonial rule. Jews flourished and became prominent in trade, the arts, and even politics under the British, French and Italian mandates and protectorates. The colonial powers exploited the Jews and their talents since they were better educated than the Muslims. At the same time, the Western powers were racist and, with few exceptions, did not accept Jews as fully-fledged colonials. There were limits on how far they were prepared to go to protect Jews from popular violence. GG: The book examines the ‘three way alliance’ between Nazi Germany, the Grand Mufti of Jerusalem and the Muslim Brotherhood. How did that alliance come about? LJ: A kind of ‘blood and soil’ Arab ultra-nationalism arose in the early 20th century, often following the Nazi model. It marginalised non-Muslims and eventually stripped Jews of their rights, their citizenship, their property and finally the right to live in the country. Arab parties such as the Ba’ath Party were modelled on National Socialism. They had paramilitary youth wings such as Young Egypt and the Futuwwa in Iraq and they held torchlight processions like those in Nuremberg. Nazi-sympathising Syrian and Palestinian nationalists were very active in Iraq in the 1930s. The German Ambassador to Baghdad, Fritz Grobba, built up a network of pro-Nazi agents and serialised Mein Kampf in Iraqi newspapers. The Nazis financed the 1936 Arab revolt, as well as the anti-British activities of the Mufti. They financed the Muslim Brotherhood, which by the end of the Second World War had a million men under arms. Political Islam, in the form of the Muslim Brotherhood, was founded in 1928 by Hassan al-Banna in Egypt. Its creation coincided with the rise of Nazism and fascism in Europe. The Muslim Brotherhood was an attempt to re-establish the caliphate that had been abolished with the end of the Ottoman Empire, but it was also deeply influenced by European fascism. It was an anti-modern movement, it was anti-women’s rights and, above all, it was antisemitic at its core, a reactionary Islamist movement that imported European ideas of antisemitism. The Brotherhood took on the Nazi trope that the Jews wanted to dominate the world and that Jews were the enemy because they were modernisers – all things the Brotherhood disliked. The third party to the triple alliance was the Palestinian Grand Mufti of Jerusalem, Haj Amin al-Husseini. The Mufti and the Muslim Brotherhood had close links. By the end of the Second World War the Mufti was appointed the head of the Muslim Brotherhood in Gaza. From the time he was nominated by the British to lead the Palestinian Arabs, he incited anti-Jewish violence both inside Palestine and across the Arab world. He sidelined and killed Arabs who wanted to accommodate Zionism. From Hitler’s rise to power he sought to make an alliance with Nazism. At first the Nazis weren’t very keen, in fact they considered the Arabs to be Untermenschen like the Jews. But they revised their view in the late 1930s, coming around to the view that the Arabs could be useful allies against the British and the French. The British sent the Mufti into exile in Baghdad in 1939 and he lived there for two years. While in Iraq, he tried again and again to foment a Nazi coup. Eventually he succeeded: a pro-Nazi government under Rashid Ali ruled Iraq for two months from April 1941. Even though it was short-lived, and the Mufti soon had to flee with Rashid Ali to Berlin, he still managed to incite the local population against the Jews. The result was the Farhud of June 1941, a pogrom in which hundreds of Jews – some say up to 600 – were murdered. The Mufti spent the rest of the war making toxic propaganda broadcasts from Nazi Germany. He concocted a new kind of antisemitism that combined traditional Muslim antisemitism, like the anti-Jewish verses you find in the Koran, with the Nazi antisemitism that demonised Jews and imagined ubiquitous Jewish control. GG: Do you see all this as the root of the antisemitism we see in the Middle East today? LJ: Most definitely. The Muslim Brotherhood pioneered the ideology behind Da’esh, the Jihadists of ISIS. In fact, their leader was a member of the Muslim Brotherhood, Abu Bakr al-Baghdadi. And I think this ideology is very much with us today. Hamas is the Gaza branch of the Muslim Brotherhood and its charter is replete with Nazi conspiracy theories. The Arab world never underwent a process of de-Nazification. For example, the Mufti was never tried as a criminal at Nuremberg and his legacy was burnished in the Arab world. The Mufti, the nearest thing to the leader of the Arab World at that time, met Hitler in 1941, and his aim was to receive authority to be in charge of the extermination of the Jews in the Middle East and North Africa when the Nazis won the war. In fact he had plans to build concentration camps near Nablus. He set up Bosnian and Albanian Muslim SS divisions in Yugoslavia His whole ideology was directed at killing the Jews; he was an openly genocidal antisemite. And yet the Mufti remains a hero for many Palestinians; Mahmoud Abbas has said as much. GG: What is the relationship between antisemitism and anti-Zionism in the Arab world? LJ: Anti-Zionism in the Arab World was not inevitable. The Egyptians were not averse to Zionism at first, sending representatives to the inauguration of the Hebrew University in 1925. I would say until the mid-1930s there wasn’t an overt anti-Zionism. Zionist organisations operated openly in Egypt and in some other Arab countries for a limited period. What changed all this? I would say it was the Mufti. I think the Mufti had a huge influence. His whole ideology was antisemitic and from the very beginning he targeted Jews, not Zionists. The 1929 Hebron massacre victims were students in the Yeshiva in Hebron, and they weren’t Zionists. The Mufti targeted Jews outside of Palestine from the very beginning. A Palestinian delegation visiting Yemen incited against the local Jewish population in the early 1920s. Thanks to the Palestinians, the Yemeni Imam re-introduced the law decreeing that Jewish orphans had to be taken away from their families and converted to Islam. Wherever the Mufti went in the Arab world, he incited the local Arabs against the local Jews. This happened in Lebanon when he was in exile there, it happened in Iraq, as we’ve said, and in North Africa. When he was making his wartime propaganda broadcasts to the Arab World he used to say, ‘The Jews ambitions extend beyond Palestine. They want to rule the entire Arab World’. That wasn’t anti-Zionism; it was antisemitism. Mizrahi Jews in Israel: left behind? 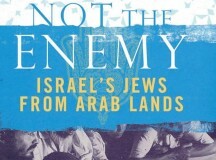 GG: You were critical of Rachel Shabi’s book Not the Enemy: Israel’s Jews from Arab Lands in a Fathom review. And in your own recent book you framed her book as a ‘contra’ to your own. But weren’t the Mizrahi Jews marginalised in Israeli society, which is Shabi’s main argument? LJ: I do think Shabi makes some valid points. There is no doubt that there was discrimination in the 1950s. But her ‘discrimination’ narrative is, I believe, out-of-date in today’s Israel. Because the Mizrachim had come to the country in such numbers – they doubled the population more or less overnight – they were always going to have trouble slotting into a state whose main institutions were founded by Ashkenazim. And you have to bear in mind that the state faced huge challenges at that time. I repeat, the exodus from the Arab lands doubled Israel’s population! 600,000 refugees arriving into a country of 600,000 is just unbelievable. And the state did not have the resources to house, to feed or to employ these newcomers properly. Many were sick with tuberculosis, trachoma and other horrible diseases. Many were elderly or lacking in basic skills. Looking back, we can see that the story of their absorption is a success story. It is unprecedented for any country to have to assimilate people from so many countries with different cultures and different languages. Even the US never had to absorb such a variety of different groups. Also, Shabi’s reasoning is faulty. She barely alludes to the context in which the Mizrachim arrived. They were escaping arrests, torture, riots, and synagogue burnings, but you would never get that impression by reading her book. She also misunderstands Mizrachim; she treats them as Arabs of the Jewish faith. Though they may have spoken Arabic, they may have listened to Arabic music and been fans of Farid al-Atrash etc., that doesn’t mean that they were Arabs. I think the difference between her and her tiny group of radical anti-Zionist Mizrachim and the great mass of the Mizrachi public in Israel is that the majority felt resentment and mistrust arising from the elephant in the room of Arab-Muslim antisemitism. They view the Palestinian jihad against Israel as the latest chapter of the long story of Arab-Muslim antisemitism, of which their grandparents were the main victims. To pretend that the points of connection outweigh the points of division is both incorrect and, I would say, derives from a political agenda. GG: But isn’t there still inequality between the Jewish communities in Israel? LJ: I think to lump all the Mizrachim together is wrong. 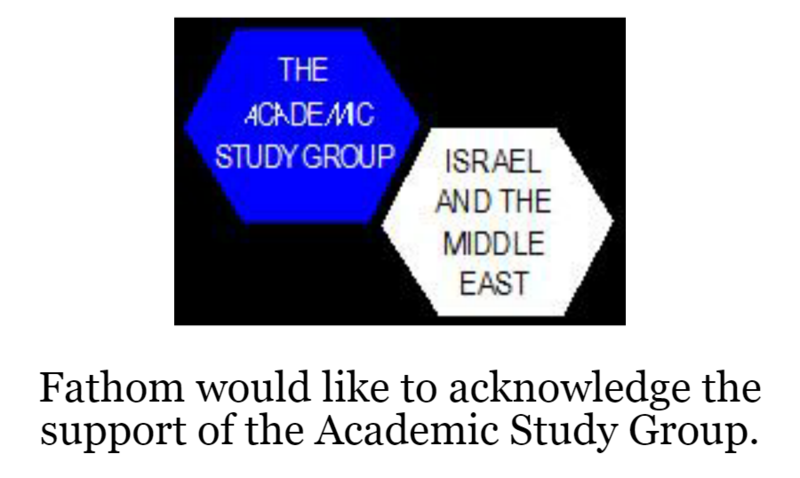 There are different groups and some very highly-educated Mizrachim. Almost 90 per cent of the entire Iraqi-Jewish community came to Israel, and some of them had been educated in the Alliance Israelite Universelle schools, some had been administrators and merchants; they basically ran the country. Even today they have this reputation for being good with numbers; Israeli banks often have Iraqi managers. The Egyptians are known as the opticians and doctors and are extremely cosmopolitan. Those who spoke Arabic were the backbone of the intelligence service. The disadvantaged were often Moroccan Jews from the Atlas mountains. Within the Mizrachim, the different groups were prejudiced against each other, just as Litvaks resented Polaks, and Yekkim (German Jews) resented both. The biggest racists of all were the Sephardim from Spain, who despised Ashkenazim so much they refused to intermarry with them. This was even the case here in England. However, I think the discrimination narrative is no longer true. The Mizrachim have breached all the restrictions that were placed in their path in the 1960s. Menachem Begin was the champion of the Mizrachim in the 1970s. But the Ashkenazi elite still dominates academia; they still dominate the civil service and the media. Some Ashkenazim on the Left ‘virtue signal’ their sympathy for Palestinians and their contempt for ‘vulgar’ Mizrachi culture while ignoring the rights of Mizrachim. But Mizrachim are no longer some marginalised minority; they are just over half the Jews of Israel and they’ve held every ministerial post except Prime Minister. They have won the cultural war in terms of music and food. The barriers are breaking down. 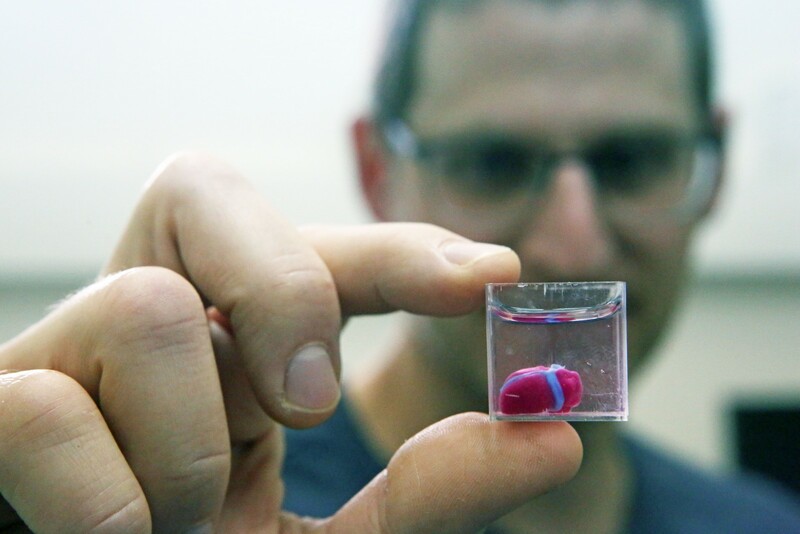 In the Israeli melting pot, most Israelis are of mixed parentage. 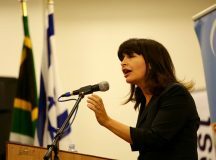 When Prime Minister Benjamin Netanyahu underwent an operation recently, he named his Deputy Prime Minister, Miri Regev, to be acting prime minister. She is of Moroccan origin. In a way, you can say the Mizrachim have arrived. In fact, I’d say the Mizrachim are the face of Israel. Israel has become a non-Muslim Middle Eastern state. The Mizrachim are in partnership with Ashkenazi Jews, and we are all one people, but half of the people never really left the Middle East; they just moved from one corner to the other. The region should not be seen as ‘the Arab world’. In reality it is a rich mosaic of different ethnic groups and religions. It’s a pity that other non-Muslim and non-Arab groups such as Assyrians, Berbers and Kurds have not achieved their self-determination. For instance, I recently met a Syrian Kurd at an Israeli Embassy reception and he said he’d been waiting since 1923, since the Treaty of Lausanne, which promised his people a state. It is a miracle that Israel exists but it shouldn’t be seen as something extraneous; it is absolutely indigenous to the region and it is a model for the other non-Arab and non-Muslim groups to achieve their own self-determination. I also believe the Mizrachim can help bring about peace and reconciliation, but only if they assert their rights and their truth. By that I mean, we mustn’t gloss over the points of division that occurred in the Arab world, all the pogroms and persecution; we can’t just be in denial about the treatment of Mizrachim. The Arabs have to come to terms with that. We can’t build a relationship on a lie. [i] A note on terminology. ‘Ashkenazim’ refers to Jews from central and eastern Europe. ‘Mizrachim’ is a modern Hebrew term denoting ‘eastern’ Jews indigenous to the Middle East and North Africa. ‘Sephardim’ refers to Jews expelled from Sefarad (Spain). Most Middle Eastern and North African Jewish communities were mixed Mizrachi and Sephardi. The terms are often used interchangeably.